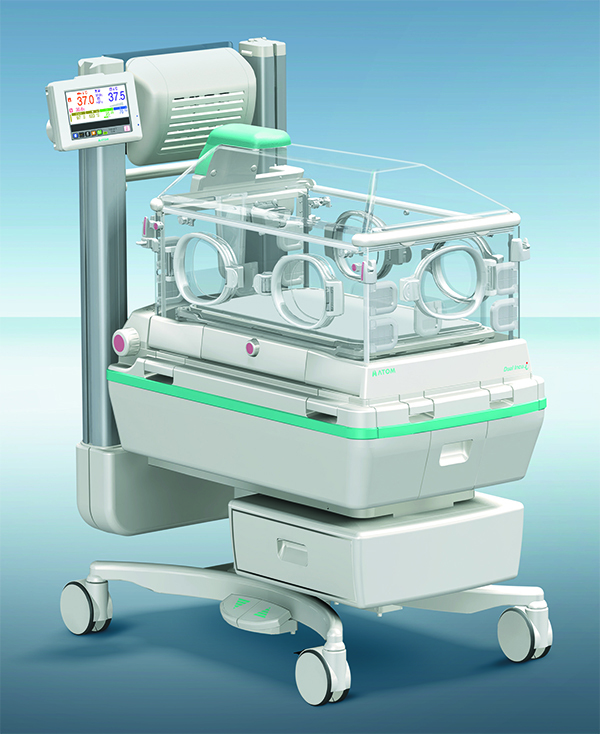 The Dual Incu i combines the advanced features and high quality of the Atom Incu i Incubator line with the superior performance and patient access of an infant warmer to quickly and quietly transition the type of care provided to the patient. The compact, ergonomic design further enhances the flexibility to utilize the Dual Incu i in almost any care setting. The user-friendly touch screen control panel is mounted on the periphery to allow easy operation without disturbing the patient. Color-coded measurements and set points for temperatures, relative humidity, oxygen concentration, pulse oximetry and patient weight are easy to identify and intuitive to operate. The Dual Incu i can be configured at the time of installation with the in-bed scale which is operated through the touch screen control module. The Dual Incu i can be configured at the time of installation with the integrated pulse oximetry option.